My position was at Aquavirunga as a Monitoring& Evaluation engineer. 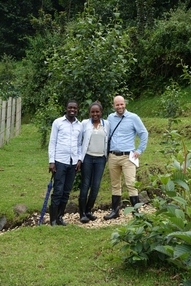 May-August 2014: Internship in management and protection of drinking water sources, Gakenke District/Ruli Sector. Field visit with RPM at Vitens Evidens Int.